عندما تزور جولد كوست, ستشعر أنك في بيتك في Grangewood Court Holiday Apartment الذي يقدم لك إقامة متميزة و خدمات عظيمة. يمكن من هنا للضيوف الاستمتاع بسهولة الوصول إلى كل ما تقدمه هذه المدينة النابضة بالحياة. يشكل هذا الفندق ملاذاَ مريحاً للاسترخاء ويمنح زواره فرصة للاستجمام والتجدد، وهو يقع على بعد خطوات من المعالم السياحية الكثيرة للمدينة كمثل: كاسكيد, Royal Queensland Art Society, Brad Holmes Surf Coaching. إن الخدمات الممتازة وحسن الضيافة العالي في Grangewood Court Holiday Apartment تجعل إقامتك تجربة لا تنسى. هذه بعض الخدمات الموجودة في هذا الفندق: واي فاي مجاني في جميع الغرف, تسجيل وصول/خروج سريع, تخزين الأمتعة, واي فاي في المناطق العامة, صف السيارات. تنعكس أجواء Grangewood Court Holiday Apartment في غرف الضيوف.تلفزيون بشاشة مسطحة, اتصال لاسلكي بالإنترنت, اتصال لاسلكي بشبكة الإنترنت (مجاني), غرف لغير المدخنين, مكيف هواء هي بعض الميزات الموجود في العديد من الغرف. إن حوض استحمام ساخن, مسار جولف - ضمن 3 كم, حمام سباحة خارجي, سبا, بلياردو هو المكان الأمثل في الفندق للاسترخاء وتفريغ طاقتك بعد نهار طويل. إن كنت تتطلع إلى إقامة مريحة وهادئة في جولد كوست، فستجد في Grangewood Court Holiday Apartment بيتك الثاني. Staff were pleasant and helpful. The apartment we stayed in needed some TLC - carpet very worn and did not feel clean. Kitchen, toilet and bathroom was clean. Walls needed attention, lots of marks and needed cleaning or a repaint. Furniture was in good condition. Both my husband and myself were constantly being bitten whilst in the apartment - not sure from what? pool to enjoy great location near Glink. washing machine and dryer was very useful. We thoroughly enjoyed our stay at the Grangewood Court Apartments. The owners are so wonderful and friendly. Tha apartments are clean and spacious. 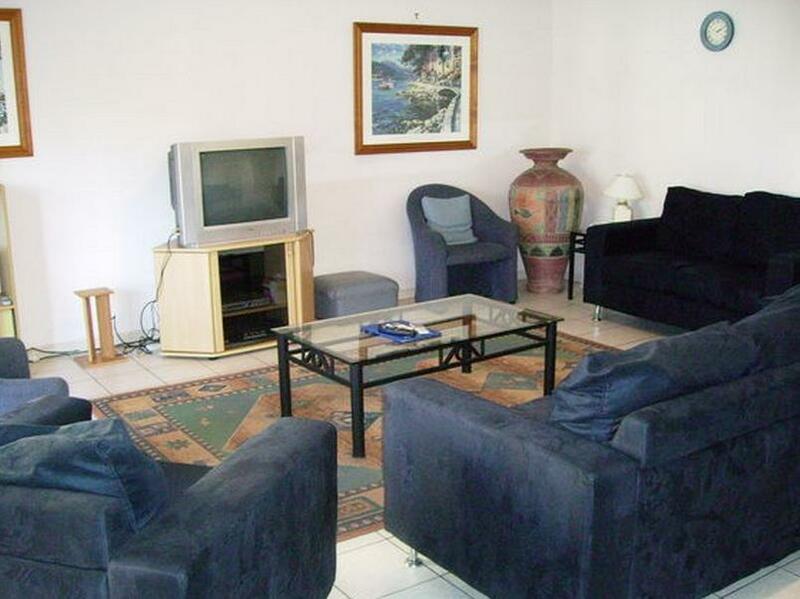 The swimming pool and games room were a hit with our family and the location is very convenient with public transport to the shops and theme parks in close proximity. Thank you for a brilliant stay! Rooms are dated but are clean and have everything you need. Staff friendly and helpful. Walking distance to shops and restaurants. Would stay again. Good value. The apartment was presented well and more than met our requirements and the manager was more than helpful and giving us tips on best places to eat and she even came up on our last night to check that our stay had been enjoyable, a nice touch and she alone would be enough for us to return. Our only criticism would be the wifi, getting 1gig a day when wifi is listed as free is a little misleading and hopefully this will be unlimited in the near future. Great managers that go above and beyond. Great location, short walk to beach and tram. Minimart shop across the rd. Short drive to Pacific fair and Oasis centres. Unit older style but comfortable with balcony and 2 bathrooms. Aircon in lounge and ceiling fans in bedrooms. Pros: The place was pretty big and comfortable. The staff was very informative and kind. Has foxtel Cons: No housekeeping - no coffee and milk refills... Had to go to a grocery store to get our own. No toilet paper refills - cost $2 to get another toilet paper roll. A/c's remote control doesn't work. You can turn it on by the wall switch but cannot change the temperature so it was freezing. TV in the bedroom didnt have a remote control. couldn't watch at all. Last customer's hair tie was on the floor and earrings were on the bed side. Lots of kids hand prints were on the window. Decent size for a 2br apartment with secure underground parking. A bit challenging if you’re staying on the top floor with luggages & young children as there is no lift. Room was absolutely perfect. Plenty of beds and being a double story penthouse, plenty of room to escape from each other. The only negative of our trip was on arrival we were greeted by a very rude male who was sitting at the pool area. Gave us a general dressing down about not trusting young people to book the big rooms because all they do is take drugs and wreck the place. He wasn't very welcoming at all and it started our weekend away off on the wrong foot. One of the ruder managers I've come across on my travels. Apart from that the weekend and room was perfect! Our stay at Grangewood Court was perfectly fine. Unit was clean, beds were comfy. Would definitely stay again. Had a fantastic stay at Grangewood. fantastic with every aspect unable to fault. Very happy with the price, handy location, nice onsite managers. We did not have to buy any fresh fruits as we can find fruits at the pool area everyday. The apartment has everything a family needs from cooking, washing, ironing...if you cannot afford dining out everyday. 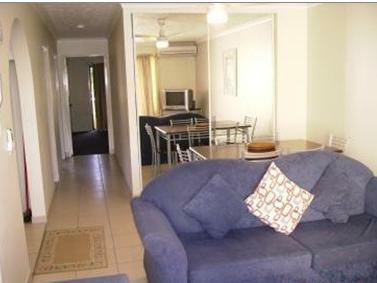 10-15min walk to casino, cnvention centre, cafes, 5mins to beach. Have body boards we can borrow. Must book early (6 months in advance at least) otherwise might miss out! It was good and fantastic.